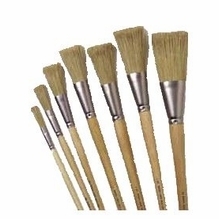 Rosco paints, coatings and brushes are used as a preferred on-set and on-stage choice for transforming sets, walls, floors and stages for commercials, TV and theater productions - from turning a regular old wall into a vibrant green screen to painting professional looking scenery. Whether you need chroma key green or blue paint, chroma reversible flooring, flame retardants, Cyc paint, acrylic glaze, fluorescent paint, tough prime foam coat or scenic paint or glue, this comprehensive selection of Rosco products from BarnDoor Lighting includes all of the essentials you're looking for in a variety of sizes and colors. 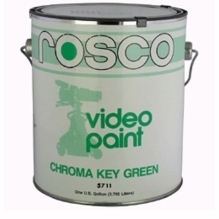 We carry a large selection of Rosco paint, including the essential Rosco Green Screen Paint that allows you to create a professional green screen background or backdrop wherever you need it. 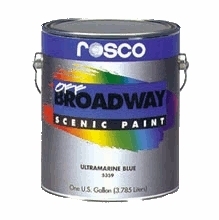 Rosco green screen paint is always durable enough for multiple uses and offers excellent coverage and quick-drying properties. BarnDoor Lighting also offers Rosco primer and flame retardant for safe shooting. If you have any questions about these products, reach out to BarnDoor Lighting Outfitters today at 1-888-276-3667 or info@barndoorlighting.com. We're happy to help.